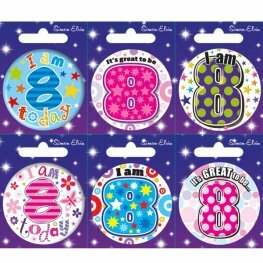 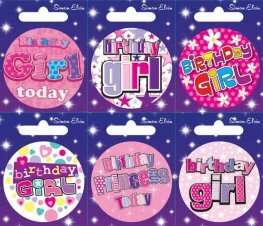 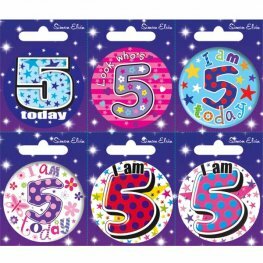 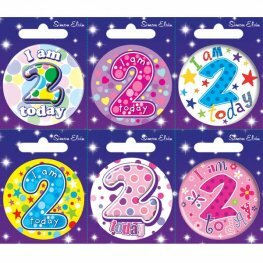 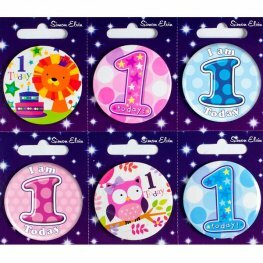 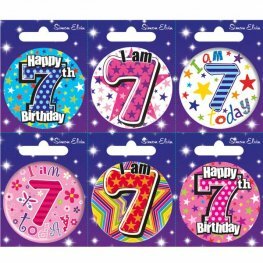 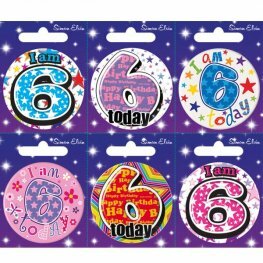 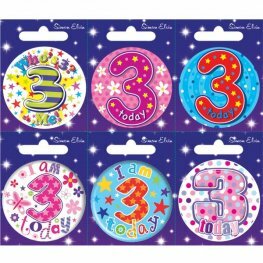 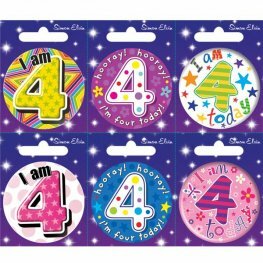 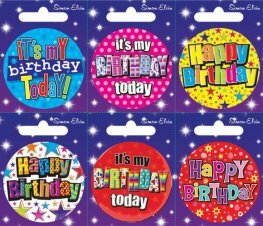 Happy Birthday SMALL ASSORTED DESIGN BIRTHDAY BADGES x6 Badges Per Card Each Badge Is 2 inch Round. 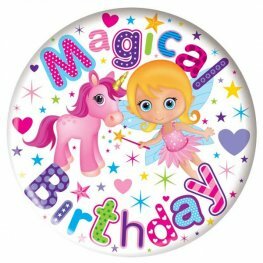 Magical Unicorn Birthday SMALL DESIGN BIRTHDAY BADGES x6 Badges Per Card Each Badge Is 2 inch Round. 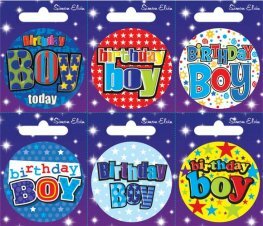 Birthday Boy SMALL ASSORTED DESIGN BIRTHDAY BADGES x6 Badges Per Card Each Badge Is 2 inch Round.